I first started ballet as a baby, stopped, then did grade 1 and 2 at the age of nine. Then we moved, so I had to stop again! I'm now 13, and I am studying for grade 3. Is it still possible for me to become a professional ballet dancer?! I am prepared to train as hard as it takes, stretch every night, go to ballet schools like SAB and devote lots of time to it! It has always been my dream. 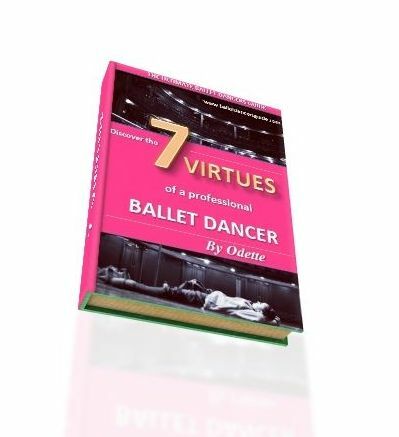 To:- Career Development Plan - Can I still be a professional ballet dancer? Thank you for your message, it’s great to hear from you. Since you are only 13, I would say it is still possible for you to become a professional ballet dancer. Especially as you have studied ballet since you were young, it’s not like you’re only just starting now. However, even though it could be possible within your age range, it doesn’t mean it will be easy. There are many obstacles you’ll feel you have to jump over and if it’s really what you want, you’ll find a way somehow. First things first, you need to find a good ballet school to train at. Ultimately, you want to aim to be training somewhere like SAB but every has to start somewhere. If your family support your dream of becoming a dancer, then this will be very important to help you reach your goals. They will need to devote their time and money into you, so if you can take some time to discuss what you want with them that will be a start. To become a professional is a full-time commitment and a lifestyle which isn’t always what you imagine it’ll be like. My advice is to keep up with your academics too and keep working hard to achieve your dream. Take it step by step and be patient!